“Pets Uniting People Society” is an organized 501c3 nonprofit organization that offers awareness to the general public regarding many vital pet protection issues. We invite you to subscribe to our publication “PUPS Digest” which is a quarterly publication that offers articles of “education, awareness, and responsibility in animal welfare” in and around Clark County, OH, as well as across the country. Make sure you sign up for your copy today for only $10 per year in care of this website. P.U.P.S. is continuing down the road for the welfare of animals. 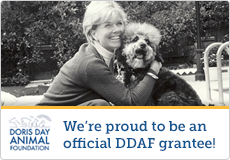 Recently, we were notified of receiving a small assistance grant from The Ohio Pet Fund. We are very appreciative of any help received from either a foundation or individuals. We have only begun to travel the road that offers help to people and pets in need. Look for our next educational edition of “PUPS Digest” this summer! The Digest is published quarterly to keep the general public informed on our progress in regards to “education, awareness, and responsibility in animal welfare”.